Our 2 Days / 2 Nights MV Giamani Thailand Liveaboard Cruise to the Southern Andaman Sea allows you to enjoy amazing diving at some of the best dive sites in Thailand. MV Giamani departs on Friday afternoon and cruises straight to Koh Haa, approximately 5 hours navigation. On Saturday you will enjoy 4 beautiful dives between Koh Haa, Hin Daeng, and Hin Muang dive sites. 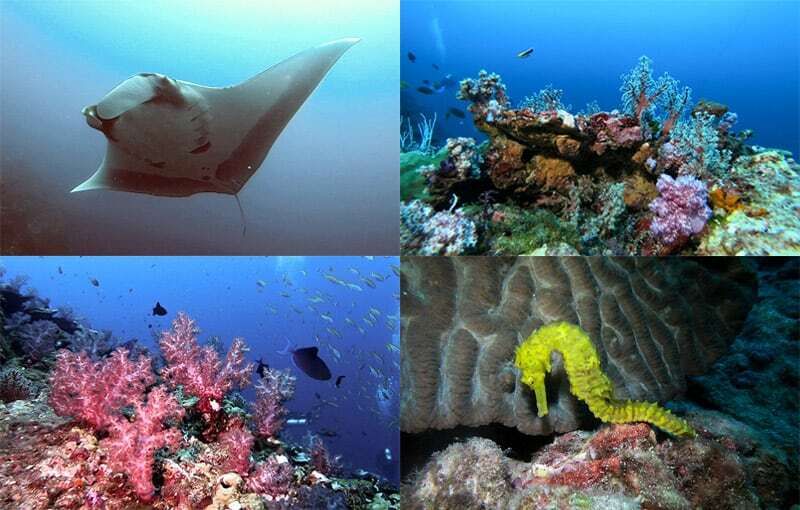 These dive sites offer pristine coral reefs full of life, lots of fish and in season good chances to see Manta Rays! On Sunday will be 3 dives between the Phi Phi Islands, Shark Point and Koh Doc Mai before cruising back to Phuket Chalong Pier in the early afternoon. This trip is perfect for those who have limited time and still wish to enjoy some of the best diving Thailand has to offer, especially popular for those living in Thailand, Singapore and nearby countries who want to take advantage of the weekend off the job. 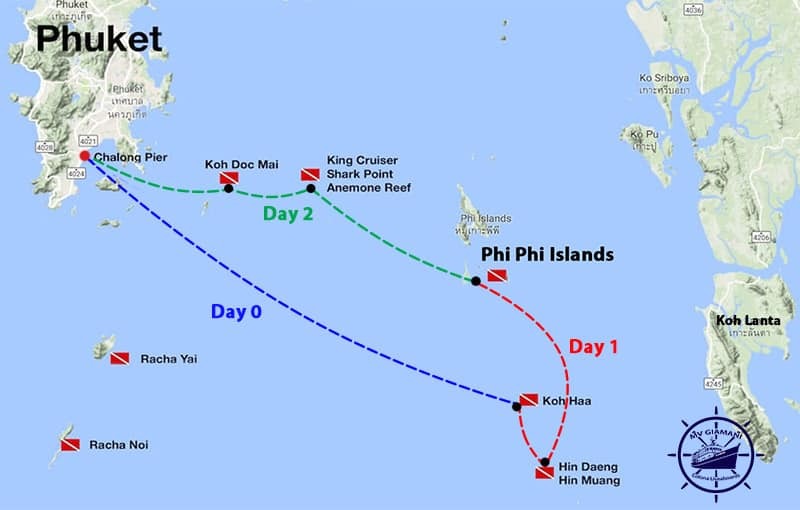 See below the full itinerary for this Thailand Liveaboard.